Subaru has announced that the upcoming 2019 Forester SUV will start at $24,295 (excluding destination costs), representing only a $500 increase over last year’s model — a minor sum for all of the new features that come with it. Standard equipment will include Apple CarPlay and Android Auto as part an upgraded Subaru Starlink infotainment system, which now comes with the EyeSight suite of driver assistive technologies, including automatic emergency braking, lane departure warning, and adaptive cruise control. 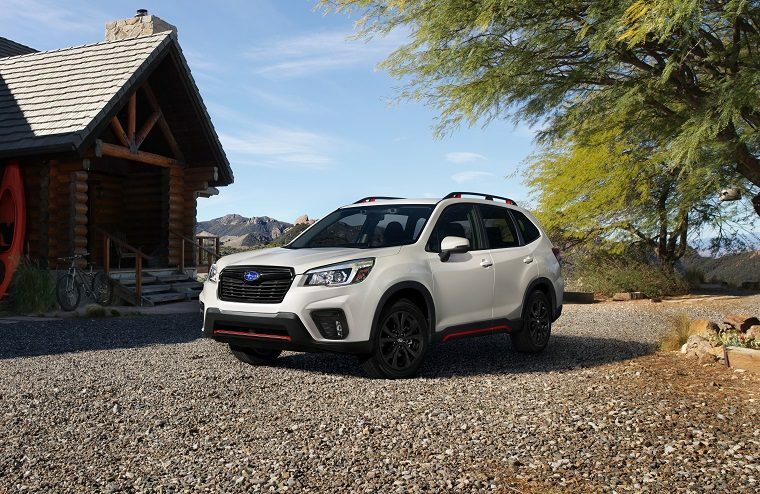 Also new for 2019 is a Forester Sport trim, which adds some visual pizazz by means of black alloy wheels, black exterior accents, and a roof-mounted spoiler. Inside is unique orange seat stitching and further orange accents throughout the cabin, as well as a Sport Sharp setting on the driving mode dial. Standard tech includes LED fog lights, keyless access, and heated seats. Compare Them: Which Subaru SUV is the best for you? A significant change is the removal of the turbocharged XT models. All Subaru Foresters now come with the 2.5-liter four-cylinder rated at 182 horsepower and 176 lb-ft of torque, and only that engine. The CVT is also the only transmission. Between the base and Sport trim is the Premium, and above the Sport are the Limited and Touring trims, the latter starting at $34,295. It gets you an eight-inch infotainment system with built-in navigation as well as further advanced safety tech like reverse automatic braking and DriveFocus, a system that scans your face for signs of fatigue. And of course, there are more chrome bits on the outside and perforated leather inside. The 2019 Subaru Forester is expected to hit dealerships in the fall.